You are ready for your counter tops when you have completed all the steps on the following checklists and we have all the required information in our possession. We will not be able to start processing your job until we have this necessary information on file, so please provide these decisions as soon as possible to eliminate mistakes and avoid a miscommunication about these details. Having these decisions made also allows us to completely finish the job without having to stop and wait to find out more information, which lets us get your counter tops installed faster. If you have any questions about any of the checklist items or would like to know how to get started with your new tops, please give us a call today. 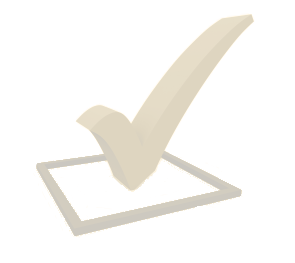 Use these checklists to make sure you have done everything you need to do to get ready for your new tops. Please remember we can’t start each phase until all the necessary steps are completed.